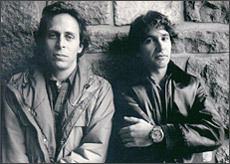 Joel Sucher and Steven Fischler, friends since the age of nine, founded Pacific Street Films in 1969. In a career spanning over three decades they've produced, directed, written and edited over 100 films, as independents and for venues as diverse as the United Nations and Saturday Night Live. More than 100 years ago, in his journalism and his influential book, How the Other Half Lives, photojournalist Jacob Riis dramatically portrayed issues of homelessness, poverty, crime, public health, and race relations in America.